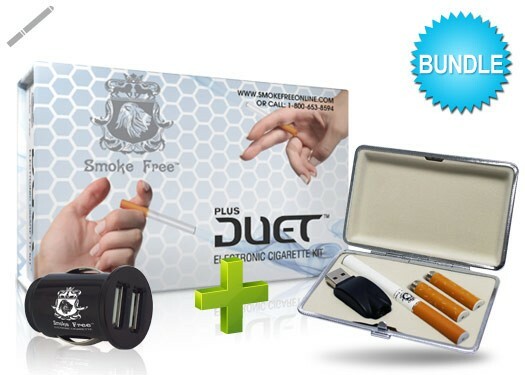 The Smoke Free Duet Plus Bundle Kit contains everything you need to start vaping in style. With the replacement Cartomizers – cartridge with a self-contained atomizer – the frustration of inserting an atomizer into a cartridge is no longer an issue. Convenience for those who prefer vaping has arrived. Let it rain! Let it Snow! 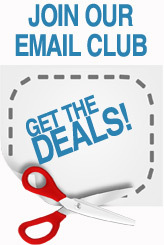 You’ll be in the know! Take back control of your freedom to enjoy smoking without the smell, tar, ash and second-hand smoke. As your coworkers are banned to the outside patio, you can take your break with the civilized crowd after work at the wine bar. 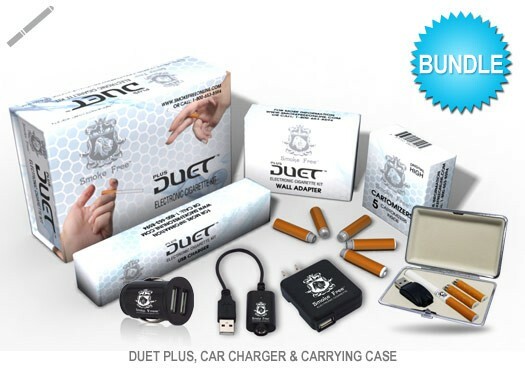 Instead of buying a pack of smokes, plug into your wall charger, USB charger or use the dual port Car charger as you drive home.